We can't say anything more, says Sony, as it would affect our ability to protect you. Earlier this week some European Sony PSN customers found to their horror that their accounts were locked. None of them knew why, and they trooped off to customer support to find out. Not to worry, says Sony, it was us. Sony detected "irregular activity" on the affected accounts, according to an online support coordinator, and reset all their passwords as a precaution. Irregular activity could mean anything, and doesn't have to mean there was a problem, or "anything specific to worry about," says PSN customer support. Sony couldn't provide further details "as it would affect our ability to keep you guys safe." But what Sony didn't do, after it reset all those passwords, was to tell the affected customers what was going on. Cue panic. Some of them had credit cards attached to their account; the last thing they needed was any suggestion that their account might, in some unspecific way, have been compromised. It's unsurprising that Sony's twitchy about account security, after the 2011 hack, but it seems odd that it never thought to contact its customers. Refusing to tell people why it happened is no solution, no matter how plausible the reason for doing so may sound. 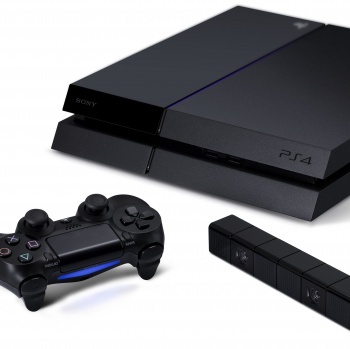 The PS4 has yet to launch in Europe; here's hoping Sony gets over its jitters by the time it does.